In the morning of October 27th, 2017, a load test was conducted on the south fixed span of the Memorial Bridge. 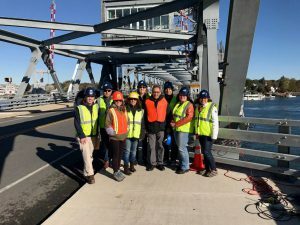 For loading of the bridge, an NHDOT dump truck loaded with Jersey barriers passed the bridge several times on both the northbound and southbound roadways. The test included five pseudo-static and five dynamic runs. 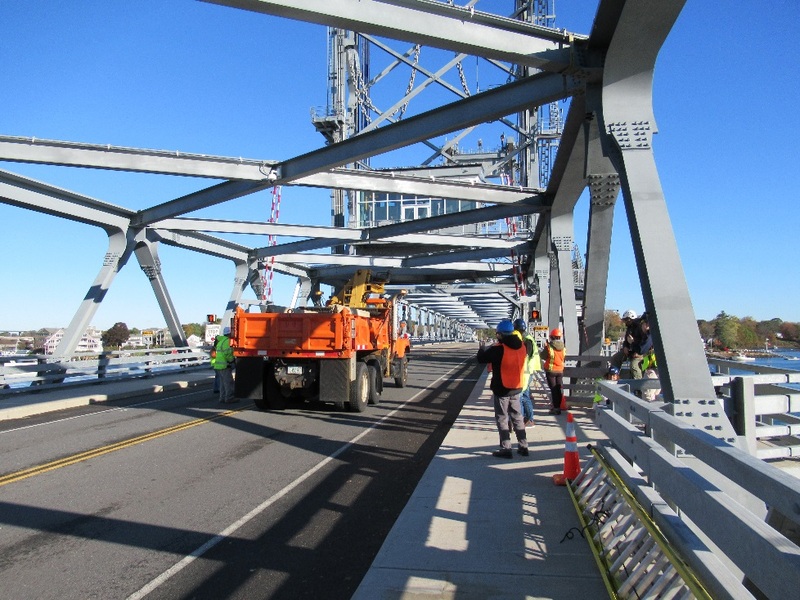 The load test data captured by the mounted sensors on the Portsmouth side were used for calibration of the finite element models of the Memorial Bridge.